Revolution and their sub-brands are renowned for releasing lots of brand new innovative products all the time, and one which I found super cute was the I Heart Revolution Unicorn range. There are quite a few products in the collection, but I opted for three which I really wanted to try out. 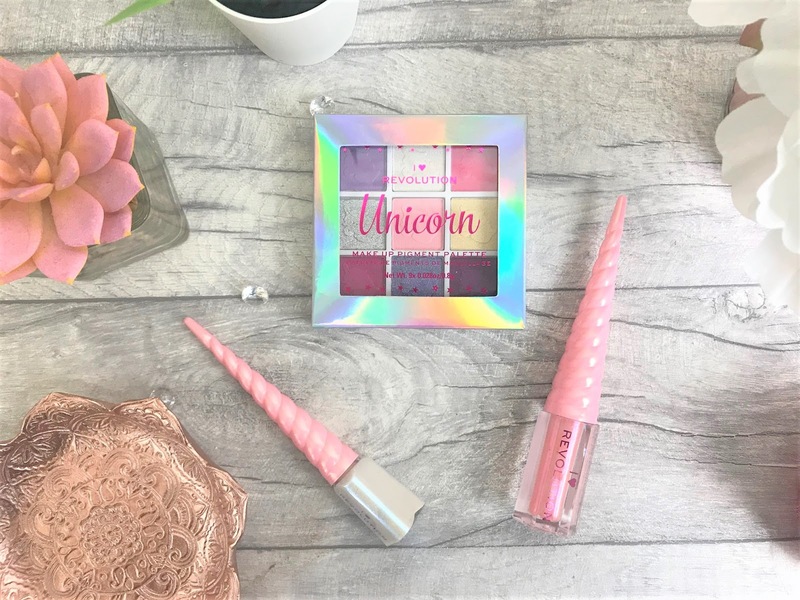 First up, is the I Heart Revolution Unicorn Fantasy Eyeliner (£3.00), which is an iridescent liquid eyeliner which comes complete with a big pink unicorn horn as the applicator. The formula is pretty with a white base and blue iridescent sparkles, but I did find that if I applied it with the wand it comes with, that you don't get an even finish and it goes a bit streaky, but applied with one of my own brushes, this looks super pretty. 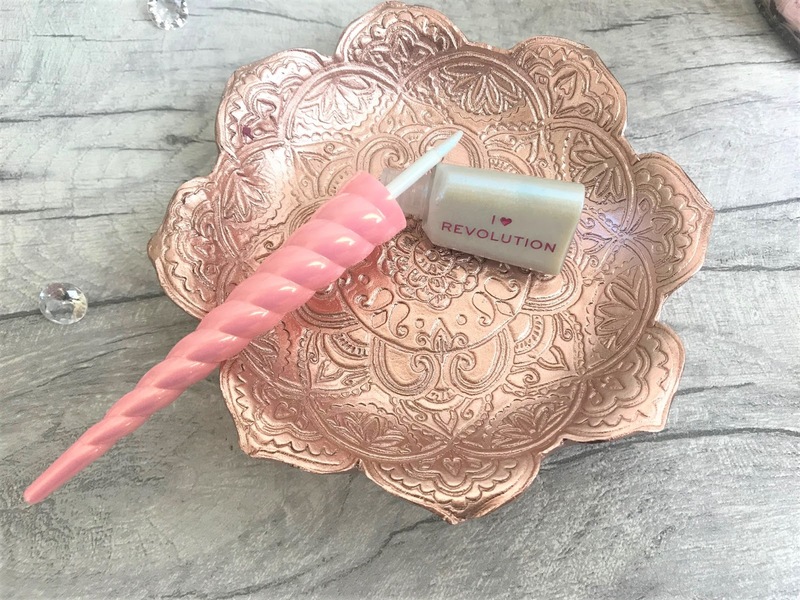 We then have the I Heart Revolution Unicorn Fantasy Lip Topper (£3.00), which comes in similar packaging to the Eyeliner, with its big iridescent unicorn horn. The applicator itself is a doe-foot sponge, making application precise and easy and this one definitely gives a smooth, even finish. 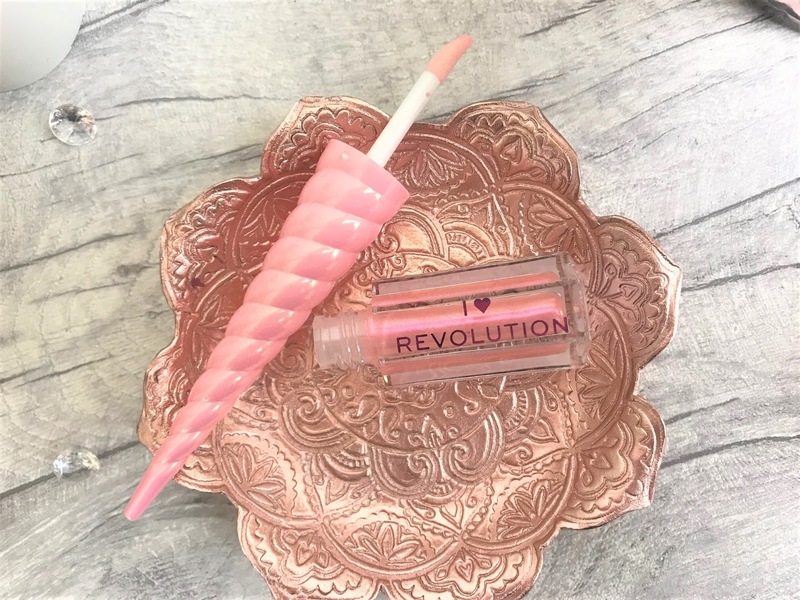 The colour is super pretty with a slightly peach base and lots of pink iridescent sparkle to it, and even though it is sold as a lip topper, you could totally wear this on its own for a sweet natural shimmer. 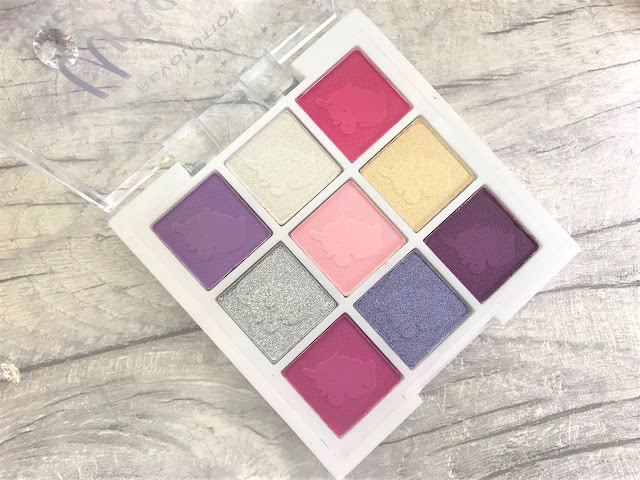 The Revolution brand is also renowned for its eyeshadow palettes and I loved the shades in the I Heart Revolution Unicorn Fantasy Makeup Pigment Palette. This costs just £4.00 and you receive nine pans of super pigmented shadows. 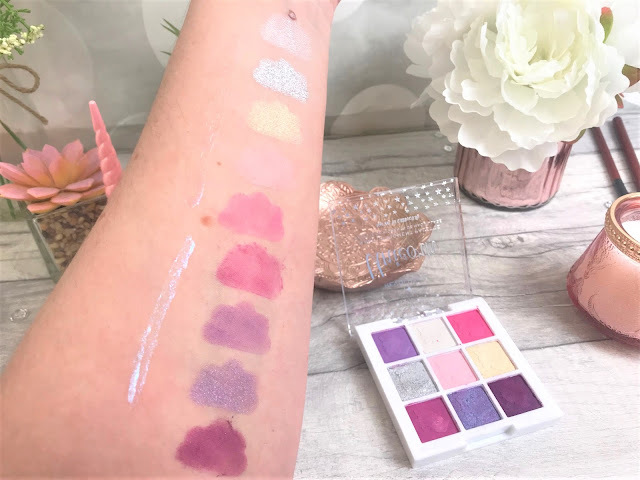 The palette contains four matte eyeshadows and five shimmer ones, including creams, silvers, golds, purples and pinks, ensuring you can create such a variety of looks with this one palette alone. The formula is creamy and doesn't drag on or irritate my skin, and as a contact lens wearer I got on with this palette absolutely fine. I definitely want to try out some of the other colourways! You can find the I Heart Revolution Unicorn Fantasy collection online at Revolution Beauty. Kawaii Box Sakura Season March 2019 + GIVEAWAY!